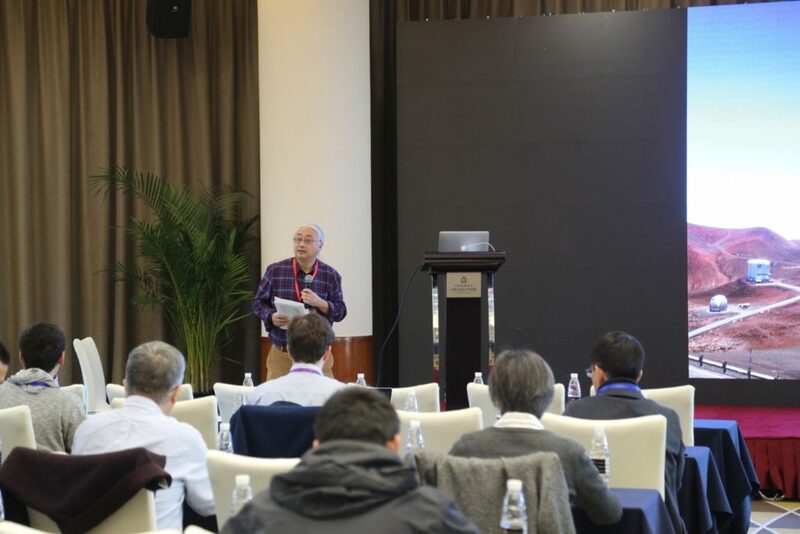 In order to promote the communication and collaboration between astronomy communities of China and Chile, sponsored by Chinese Academy of Sciences (CAS), National Natural Science Foundation of China (NSFC), National Astronomical Observatories, CAS (NAOC), the “Fifth Chile-China Bi-lateral Astronomy Science Meeting” was successfully held in Kunming during Jan. 23-26, 2019. 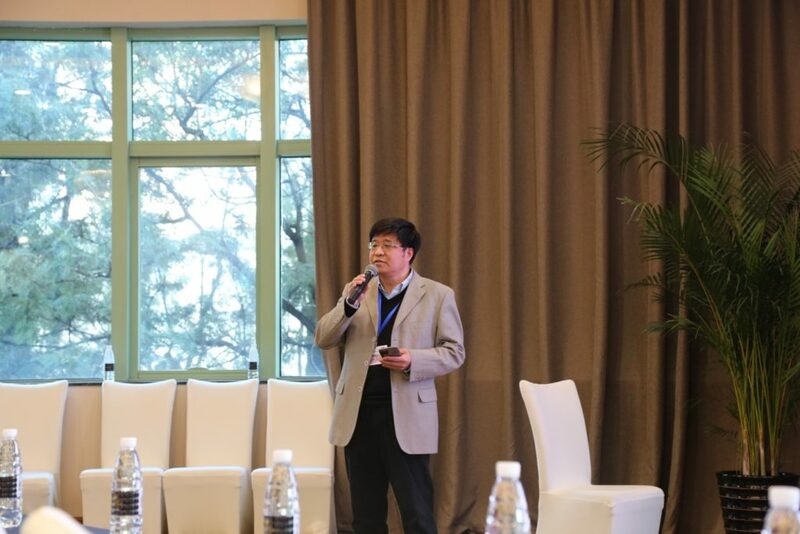 The meeting was organized by the CAS South American Center for Astronomy (CASSACA), also known as China-Chile Joint Center for Astronomy, along with Yunnan Astronomical Observatory (YNAO). CASSACA is one of the overseas projects initiated by CAS to develop cooperation in science and technology with foreign countries. In February 2013, CASSACA was inaugurated at NAOC, and its Santiago office was inaugurated in October 2013 at University of Chile. The Center serves as a platform for collaboration in astronomical research and related technologies between China and South America countries. The Center helps to build international scientific teams and joint programs engaging in frontier astronomy research. 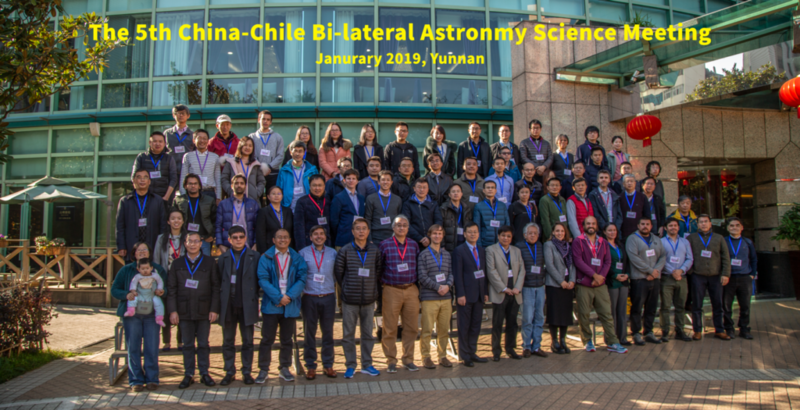 The China-Chile Astronomy Workshop is a major platform to strengthen communications in astronomical research between the two countries, and has been held alternately in Chile and China. It has been proven to be successful in the past meetings of the series, prompting knowledge and information exchange between astronomers, and initiating collaborative projects and joint programs. 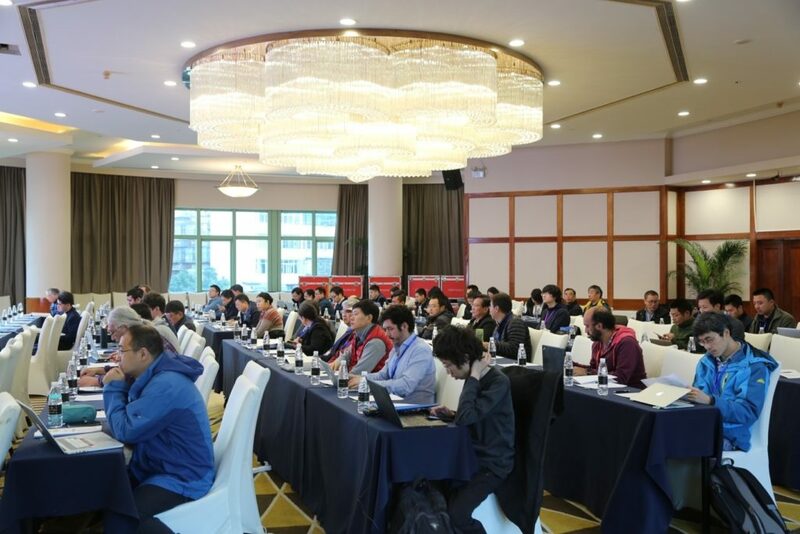 Around 70 participants attended this Meeting, including experts, young scientists and students, coming from more than 20 institutes of China, Chile, and other countries. Professor. Jiasheng Huang, Chief Scientist of CASSACA, and Professor Jinming Bai, president of YNAO, offered their welcome as the hosts; Hui Sun, Director of Division of America and Oceanian Affairs, Bureau of International Cooperation, CAS and Suijian Xue, Deputy Director General of NAOC, both addressed the meeting; Dr. Wei Wang, Deputy Director of CASSACA, introduced the current status and future prospects of the Center; Professor Patricio Rojo, Chairman of Astronomical Society of Chile (SOCHIAS) and other Chilean astronomers expressed high expectations for the Chile-China cooperation, and gave a lot of suggestions and comments. 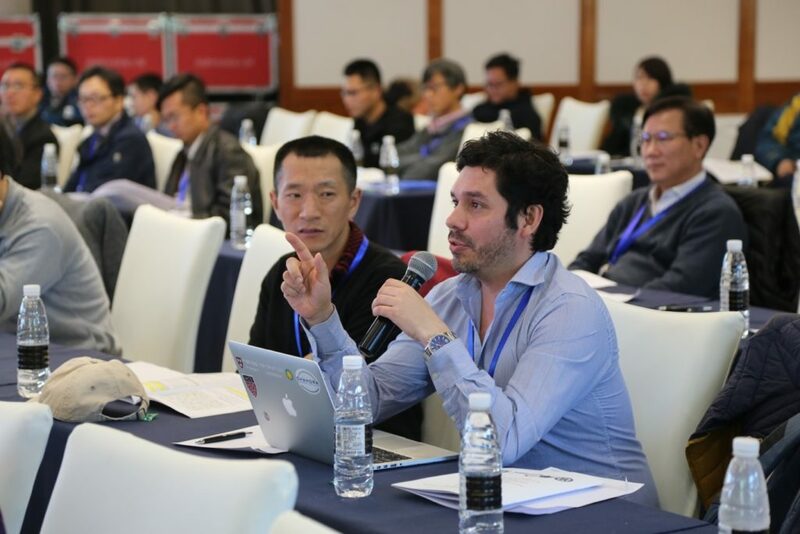 At this Meeting, directors or their representatives of nearly all major astronomical observatories/departments of China and Chile summarized the major research areas and current activities of their institutions, including detailed talks on recent research highlights. 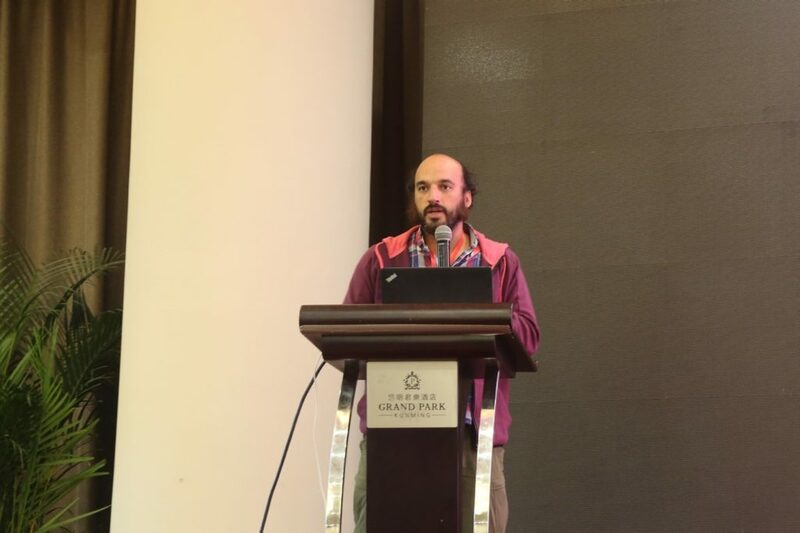 During the four-day workshop, astronomers from both countries communicated cordially and comprehensively, reviewing the existing ties and finding opportunities for future collaborations. The bilateral meeting is recognized as an important catalyst for Chile-China astronomy communications, and a useful model for CAS to advance international cooperation widely. Based on the principles established in a 2013 Memorandum of Understanding (MoU) between the Chinese Academy of Sciences (CAS) and the National Commission of Scientific and Technological Research of the Republic of Chile (CONICYT), and the more specific guidelines described in a recent (2015) Agreement between the National Astronomical Observatories of China (NAOC), the Chinese Astronomical Society, the Chilean Astronomical Society (SOCHIAS) and CONICYT (pdf), we are now inviting research proposals that involve China-Chile collaboration in astronomical research, to promote astronomical research collaborations between China and Chile, to advance astronomy in both countries. Project duration will be 1-2 years, with funding level around $75k USD in average. The PI of the proposal must be from either China or Chile, and the subject can be in any area of astronomical research, including observations, instrumental development, and theory. For more details, please read the attached announcement (pdf). The Chinese Academy of Sciences (CAS) and the Comisión Nacional de Investigación Científica y Tecnológica (CONICYT) of Chile are inviting for applications for post-doctoral fellowships in observational, theoretical, and/or computational astrophysics. The official announcement of this opportunity is made at the CONICYT website (www.conicyt.cl) and duplicated at www.cassaca.org. The duration of the Fellowship is for two to three years, with at least part of it spent at a host institution in Chile. 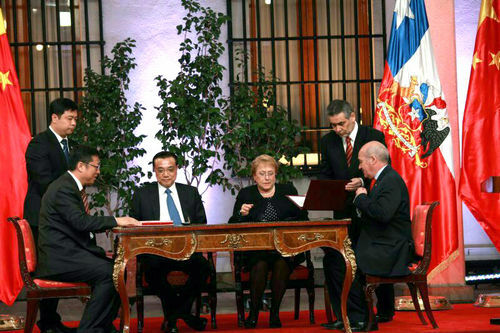 Preferential considerations will be given to those applicants with proposed research activities involving collaborations between the Chinese and Chilean astronomy communities. Potential applicants should check out the two web sites above for more up-to-date information on this opportunity and possible deadline extensions, and are encouraged to contact prospective sponsors accordingly before applying. A catalogue of research projected proposed can be found at http://www.cassaca.org/?p=631. Applications must include the CV, a research statement, a support letter from the Host institution in Chile signed by the Department Director and faculty sponsor, a copy or certificate of degree, and two recommendation letters. The applications will be received at http://www.conicyt.cl/astronomia/category/concursos/ and all the documents except recommendation letters should furthermore be sent by email in PDF format to postdoc.cas@conicyt.cl and echen@das.uchile.cl before the deadline August 31st. Further inquires about this fellowship opportunity can be addressed to Dr. Jiasheng Huang, Chief Scientist of CASSACA （the CAS South America Center for Astronomy) at jhuang@nao.cas.cn. Journalists from local stations of the Xinhua News Agency, People’s Daily newspaper, and China Radio International visited ALMA (the Atacama Large Millimeter/sub-millimeter Array) and ESO (European Southern Observatories) Paranal, two of the largest international observatories in northern Chile, on 16-18 July 2015. During the visits and through interviews of on-site astronomers and employees, they had witnessed frontier research activities at the first-class international observatories, and gathered a lot of valuable first-hand information. 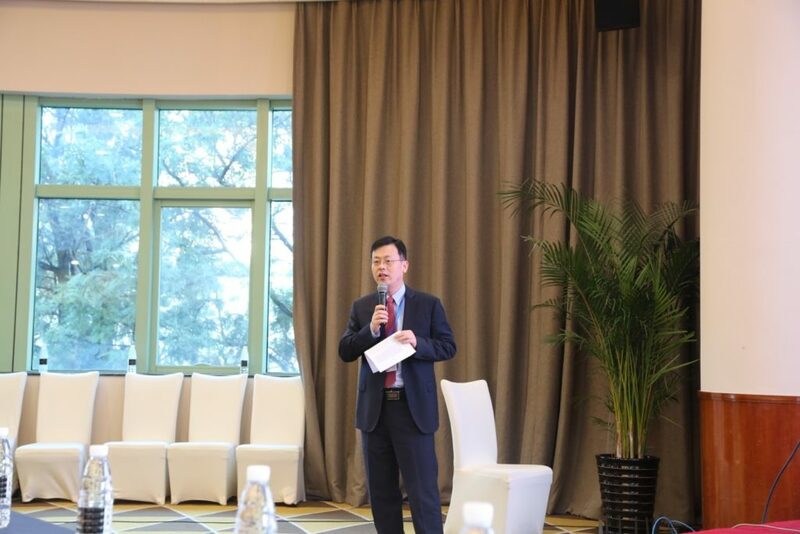 CASSACA Director Wang Zhong and Deputy Director Wang Wei accompanied the visits and participated in the outreach activities. Prof. Gang Zhao, Deputy Director General of National Astronomical Observatories, Chinese Academy of Sciences (NAOC), Mr. Hua Qin, General Manager of Huawei Chile, and Dr. Darcy Fuenzalida, President of Technical University of Federico Santa Maria of Chile (UTFSM), jointly signed the agreement on May 25, to create the China-Chile Joint Astronomical Data Center at the witness of Premier Li Keqiang and Chilean President Michelle Bachelet. The China-Chile Joint Astronomical Data Center is one of the most important projects of the Chinese Academy of Sciences South America Center for Astronomy (CASSACA) since its establishment in October 2013 in Santiago. The Joint Data Center is a joint endeavor the CASSACA, Huawei and UTFSM. CASSACA, supported by NAOC under the Chinese Academy of Sciences, has strong S&T resources. Huawei is one of the world leaders in production of hardware, and UTFSM is one of the top universities in computing science in Chile. 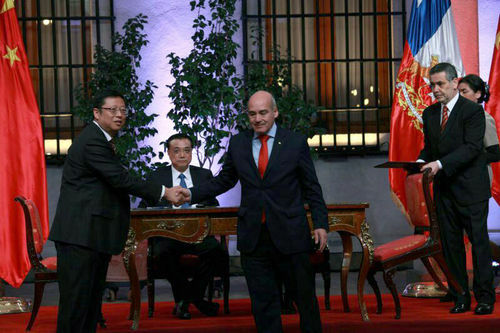 The establishment of the Joint Data Center is a landmark event of the China-Chile bilateral science and technology cooperation. This Joint Center has the advantages of broadband transmission, mass storage and high performance computing, which will facilitate Chinese and Chile researchers to share and make full use of enormous astronomical data of ALMA, a world-class telescope in the northern Chile, and benefit astronomical research for both Chinese and Chilean communities. Chile is the most ideal places in the world for the construction of astronomical observation facilities, as a result of its excellent geographical conditions, great support from its government and open policies.